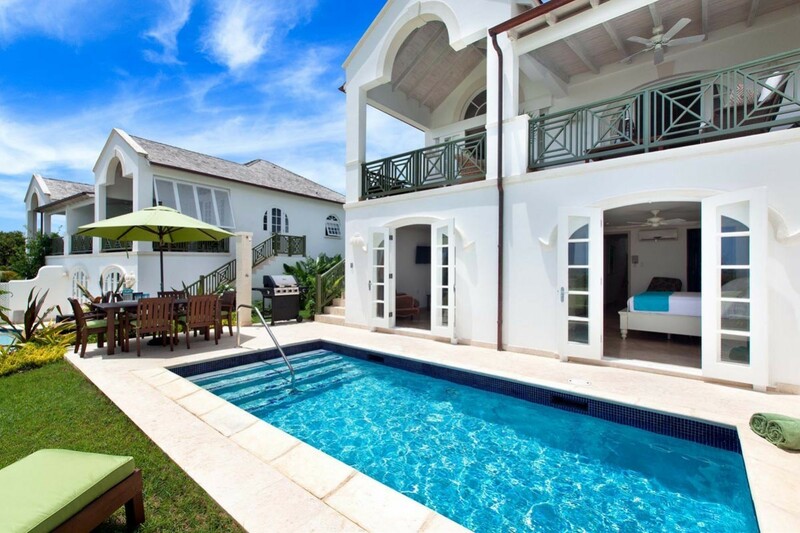 Villa Coral Blu Barbados. 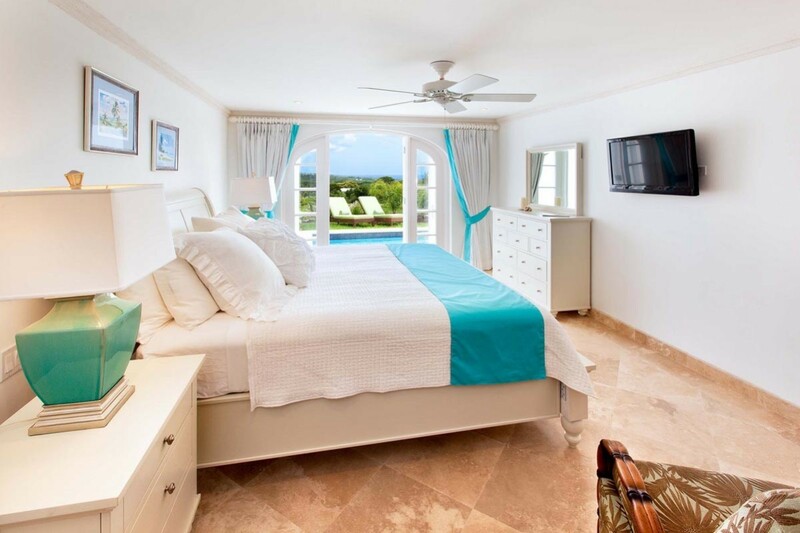 Enjoy the remarkable beauty of the décor in Villa Coral Blu. 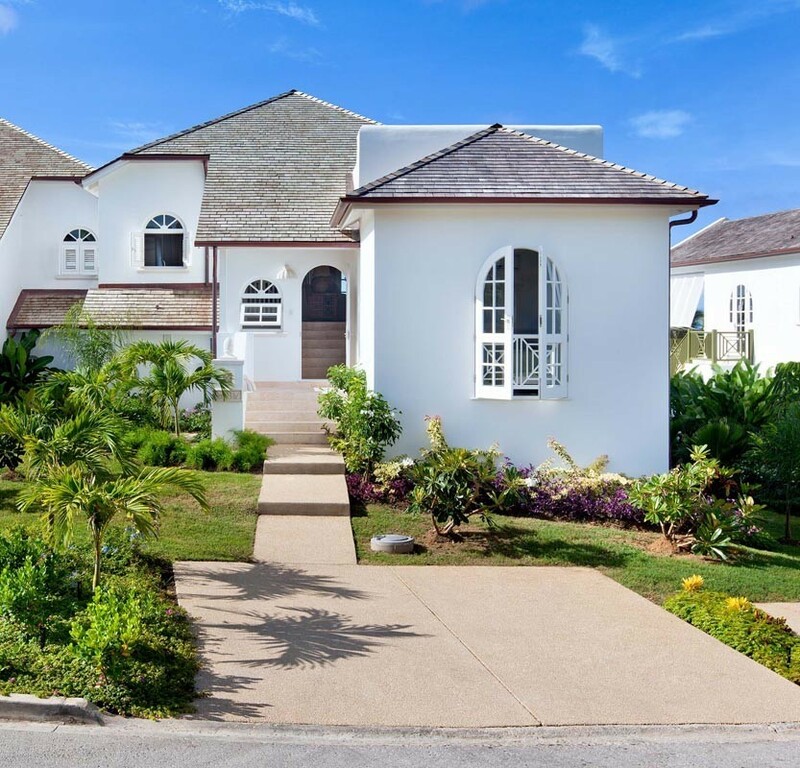 Though it is tucked into the exclusive Royal Westmoreland resort grounds, and offers access to truly premium facilities and services, it is still surprising to most who encounter the impressive furnishings and appealing settings throughout. The villa is a three-bedroom property unique among its neighbors. 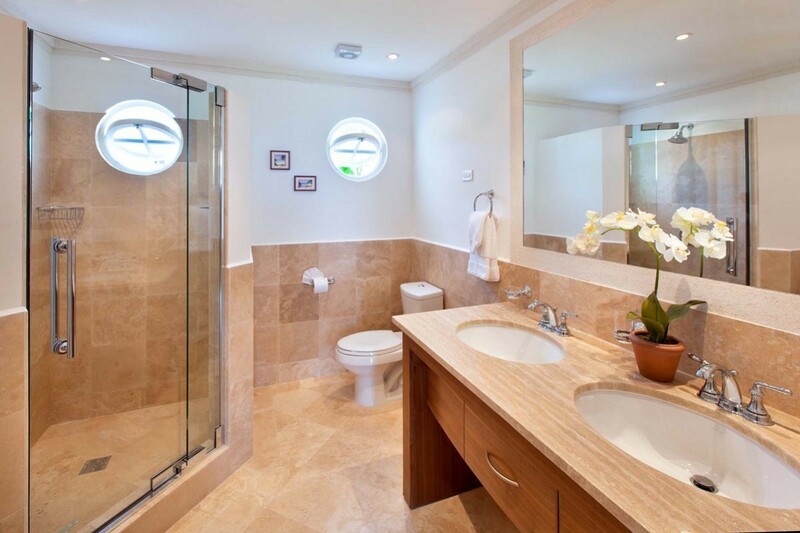 This is because its large back garden is furnished with a private plunge pool and terrace. Framed by a stone surround, it includes a lovely green lawn with sun beds, an al fresco dining table, and a helpful barbecue for outdoor meals. Because it is a premium villa, it is staffed with a cook and housekeeper in addition to providing access to other high-end services. For example, guests of the villa have full use of the resort. 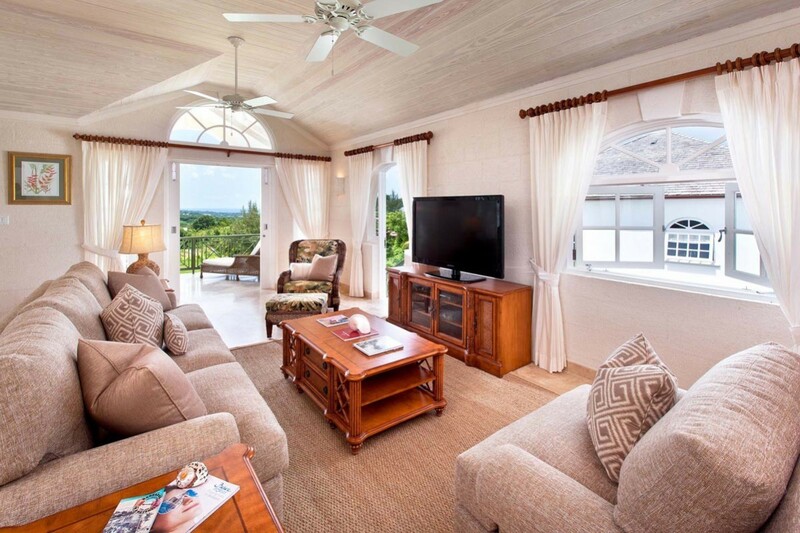 This means they enjoy exclusive access to facilities at Mullins Bay Beach, shuttle services, access to the 400+ acre golf course, use of the tennis courts, spa services and use of the clubhouse and pool. The different restaurants are available, but your cook can prepare two meals daily. 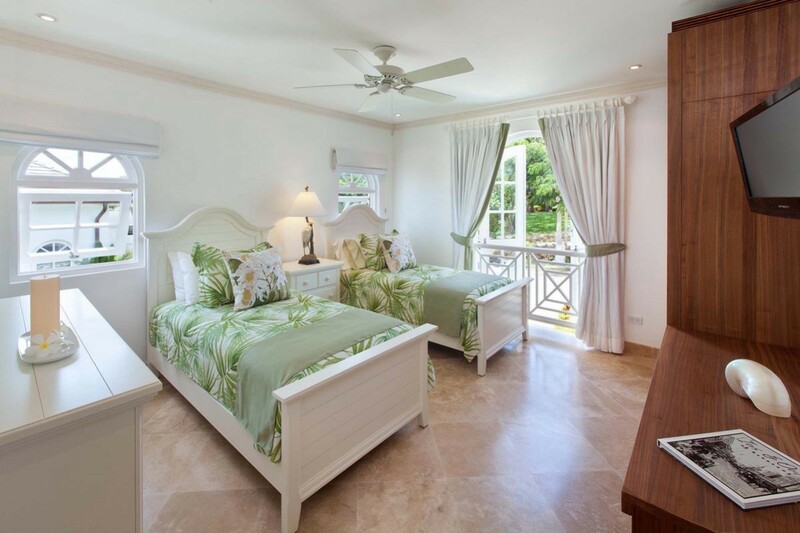 You can enjoy all of this from the comforts of the villa, and in addition to the pool and terrace, there is the covered terrace with full lounge, the media room with oversized furnishings, the formal dining room, and that impressive kitchen. 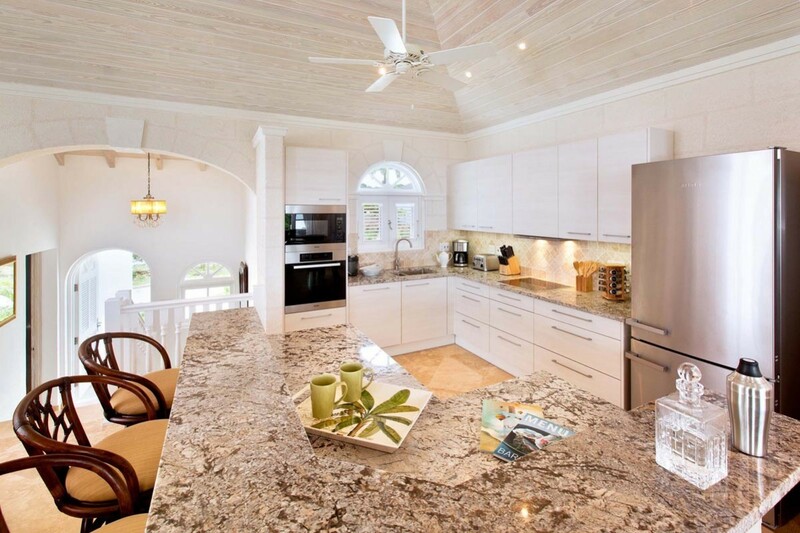 While the cook can handle the biggest jobs, you can feel free to enjoy this truly gourmet space as you experiment with some of the fresh, tropical ingredients. When the day is done, everyone can enjoy the immense style and comfort of the spacious bedrooms. Two are at the pool level and open directly to it. The third is at the main level. 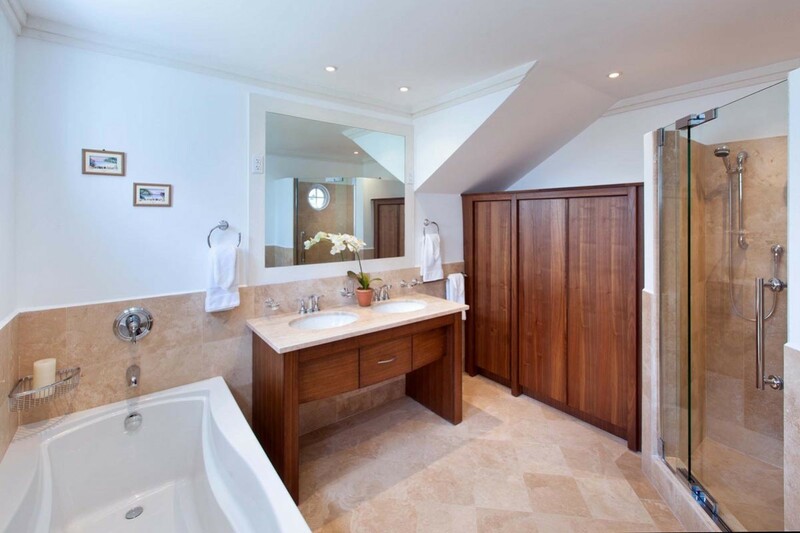 All have private, en suite bathrooms and truly luxurious décor and design. 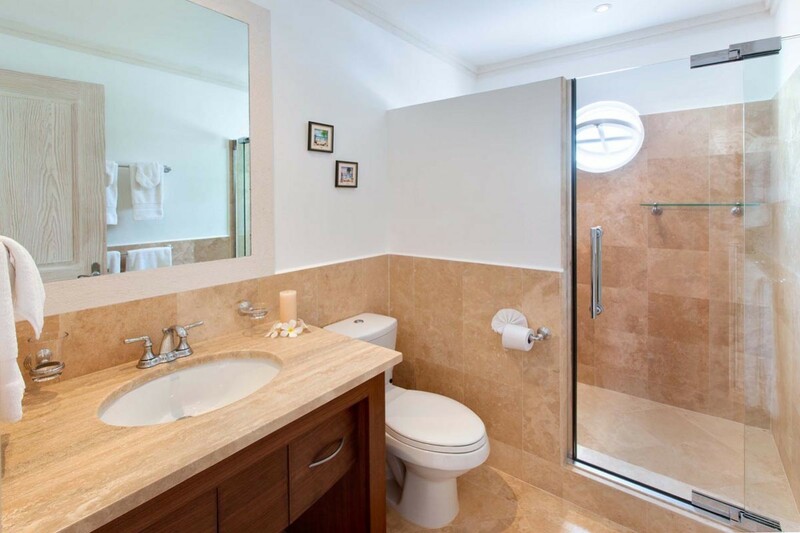 They will put the finishing touches on your wonderful experience at Villa Coral Blu, and inspire you to return again. Bedroom 1: Lower level Master bedroom with a king-size bed, A/C, ceiling fan, access to pool deck and en-suite bathroom with shower, double vanity and WC. 2 guests maximum. Bedroom 2: Lower level bedroom with a king-size bed, A/C, ceiling fan, access to pool deck and en-suite bathroom with shower, double vanity and WC. 2 guests maximum. Bedroom 3: Main level bedroom with two single beds, A/C, ceiling fan, access to terrace and en-suite bathroom with shower, vanity and WC. 2 guests maximum. Great family holiday at a wonderful villa. 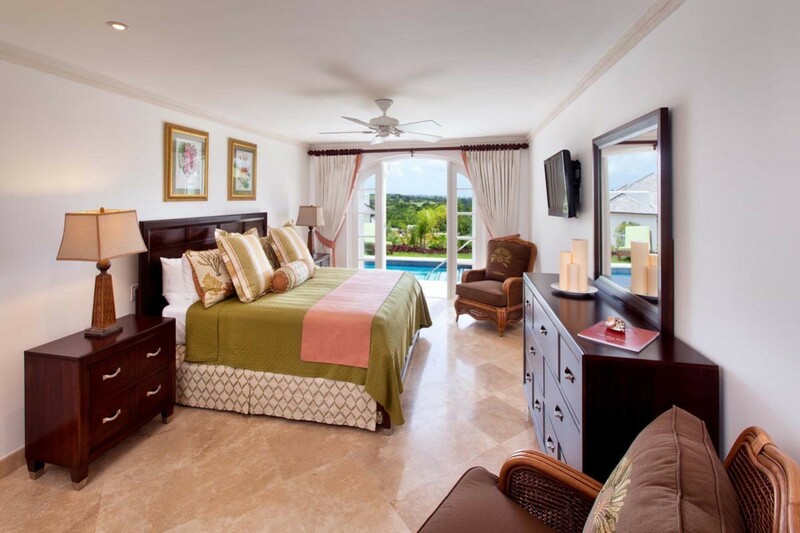 We stayed at Coral Blu Villa, this is the perfect vacation home if you are looking for a quite and private vacation. 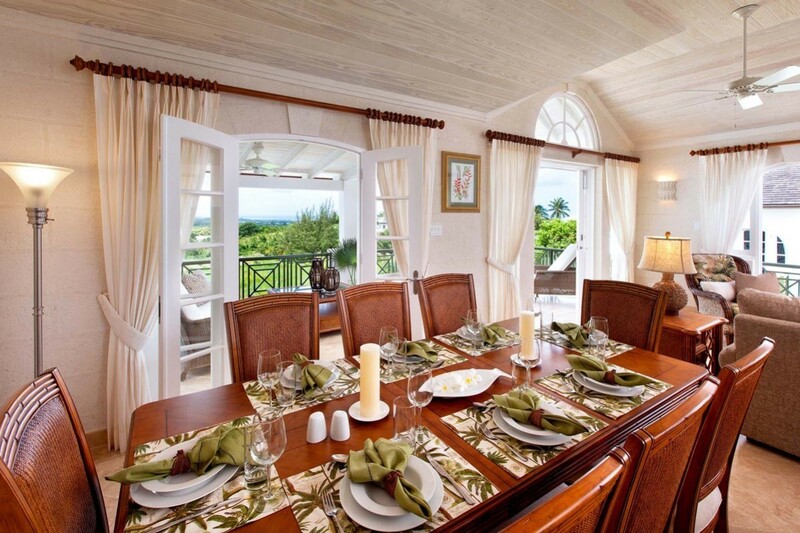 The Villa was beautiful, fully equipped including a chef who made delicious meals. Our only concern was how far it was from the beach and Holetown. We rented a car that was totally necessary to get around. We were required to purchase the food for the chef for every meal, except for the meal that was served upon arrival. The beach area for Coral Blu was located at Mullins Bay which is a public beach and located in front of the restaurant and bar, which is used by the public. Royal Westmoreland does provide lounges and umbrellas to members but they are right in the middle of the public beach area. If you are not a beach person, and would like a getaway in a very quite and private area and want to play golf this villa is perfect for you.